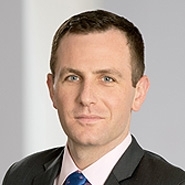 The Jacobs decisions illustrate the importance to LLC members of carefully evaluating their withdrawal and buyout rights under both the New York LLC Law and the company’s operating agreement, as well as the implications for potential derivative claims, before seeking to withdraw from an LLC. Like many business issues, the rules surrounding LLC membership withdrawal in New York have been designed to address tax concerns. As originally passed in 1994, New York’s LLC Law included a provision, former § 606, that permitted members to withdraw from an LLC as of right with at least six months’ advance notice to the LLC, unless otherwise provided in the operating agreement. As-of-right withdrawal was designed to achieve pass-through tax treatment for LLCs – akin to partnerships – by causing LLCs to fail the continuity-of-life test under IRS regulations that determined the tax status of unincorporated entities. By avoiding the corporate characteristic of continuity of life, LLCs avoided classification as corporations for tax purposes. But in 1997, shortly after New York’s LLC Law went into effect, the IRS adopted simplified “check-the-box” regulations under which LLCs with two or more members are treated like partnerships by default unless the entity elects another tax status. Given that these IRS regulations rendered non-continuity of life inconsequential for tax purposes and, all else being equal, the predictability of perpetual existence is often more appealing to LLC investors and lenders, in August 1999, the New York Legislature amended LLC Law § 606 to eliminate the unilateral right of members to withdraw from an LLC. The Legislature also amended LLC Law § 701, which governs dissolution, to include a presumption of perpetual existence for LLCs. New York LLC Law § 606 as amended, however, includes a subsection (b) that grandfathers LLCs formed prior to these amendments, meaning that former § 606 permitting as-of-right withdrawal continues to govern the withdrawal rights of members of LLCs formed before August 31, 1999, absent a contrary operating agreement provision. After these amendments, some grandfathered LLCs amended their operating agreements to prohibit unilateral withdrawal, while others did not. The original LLC Law also included § 509 governing distributions to members upon withdrawal, which is still in effect today. Under LLC Law § 509, unless otherwise provided in the operating agreement, a withdrawing member is entitled to receive “within a reasonable time after withdrawal, the fair value of his or her membership interest in the limited liability company as of the date of withdrawal based upon his or her right to share in distributions from the limited liability company.” In other words, for LLCs formed prior to August 31, 1999 without contrary operating agreement provisions, members may effectively “cash in” at any time by notifying the LLC six months in advance of their intent to withdraw and requesting the fair value of their membership interest. In Jacobs I, the dispute centered around whether the operating agreement of a pre-amendment LLC had a contrary provision which would prevent this result. The trio of Jacobs cases involve an LLC formed in 1995, Westchester Industrial Complex, LLC (“WIC”), which had two members: Charles Cartalemi, owning an 80% interest, and William Jacobs, owning a 20% interest. In March 2015, Jacobs served WIC and Cartalemi with a notice of withdrawal stating that, absent Cartalemi’s consent, Jacobs’s withdrawal would be effective December 1, 2015, in reliance on former LLC Law § 606. Jacobs also requested payment for the fair value of his interest in accordance with LLC Law § 509. In a tactic that would prove well calculated for reasons discussed below, Cartalemi did not dispute Jacobs’s assertion that WIC’s operating agreement contained no provision altering the statutory right to withdraw under former § 606, and that therefore Jacobs had withdrawn from WIC as of December 1, 2015. Cartalemi argued, however, that the operating agreement’s procedures for the transfer of membership interests controlled the valuation of Jacobs’s interest upon his withdrawal, overriding the default fair-value buyout rule of § 509. 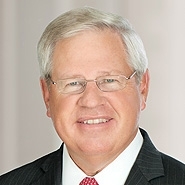 In the Commercial Division decision, Justice Jamieson held that, although WIC’s Operating Agreement did not have a provision relating expressly to “withdrawal” of a member, Article 10, titled “Right of First Refusal,” provided specific procedures for the sale of membership interests, which apply where, as in Jacobs I, a member wishes to dispose of his membership interest in the absence of a prior offer. The Appellate Division rejected Jacobs’s argument that that this sale provision did not apply to valuation of a member’s interest upon withdrawal. The Second Department ruled that the contract at issue unambiguously “establishes procedures to be used where a member has not received an offer for sale, but nonetheless wishes to relinquish her, his, or its membership interest and to be compensated for the same.” Thus, as the court explained, “regardless of whether the ‘selling member’ has withdrawn as a member of WIC, the operating agreement provides the manner in which the member might receive value for the membership interest.” The Second Department held that Jacobs was “obligated to follow the procedures set forth in WIC’s operating agreement” in order to receive compensation for his membership interest. There being no dispute that Jacobs had withdrawn as a member of WIC effective December 1, 2015, Jacobs II and III addressed his ability following his withdrawal to maintain claims brought against Cartalemi and WIC in 2012 and 2014 as a former member of the LLC. The Second Department held that all of Jacobs’s claims were derivative in nature and dismissed them for lack of standing under the continuous ownership rule. Jacobs II involved claims for an accounting, appointment of a receiver, imposition of a constructive trust, and damages for breach of fiduciary duty and waste based on allegations that Cartalemi had: paid excess compensation to himself and family members; had used WIC property for personal use without paying fair rent; and had mismanaged WIC and misappropriated its funds. Jacobs argued that he remained the owner of a 20% interest in WIC until he was paid for his membership interest and was therefore entitled to maintain his claims derivatively. He also contended in the alternative that his causes of action could be brought individually. The Second Department disagreed, affirming Justice Jamieson’s holding that “once the plaintiff withdrew from WIC, he lost his standing to maintain any derivative causes of action on behalf of the company, notwithstanding his possible right to a future payment for the value of his membership interest upon his withdrawal.” The court also rejected Jacobs’s contention that any of his claims could be brought in an individual capacity, ruling that they all related to alleged wrongs committed against WIC, not the plaintiff individually. In Jacobs III, the Second Department similarly affirmed the Commercial Division’s dismissal for lack of standing in light of Jacobs’s withdrawal from WIC. The Second Department’s trio of Jacobs decisions teaches useful lessons for dissatisfied LLC members who are considering withdrawing from an LLC or bringing actions against their co-members. Jacobs I demonstrates, to start, that the right of an LLC member to withdraw as of right will depend on which version of LLC Law § 606 applies (which in turn depends on whether the LLC was formed before or after August 31, 1999). And regardless of which version of § 606 applies, if an LLC operating agreement contains terms governing withdrawal, those terms will supersede any statutory default rules. Further, and perhaps most importantly, a member’s right to withdraw and his right to be compensated for his membership interest should be considered separately. Withdrawal will not trigger a fair-value buyout under § 509 if the operating agreement has provisions providing different rules for the disposition of membership interests. Finally, Jacobs II and III teach caution for LLC members who are considering withdrawal from an LLC, particularly those with potentially valuable claims against the company or its co-members. These two Second Department decisions hold that standing to maintain derivative claims will be lost upon withdrawal from the LLC, regardless of whether the withdrawing member has yet been compensated for their membership interest. See 1994 N.Y. Laws 576 at § 606. See Peter A. Mahler, When Limited Liability Companies Seek Judicial Dissolution, Will The Statute Be Up to the Task?, 74-5 N.Y. State Bar Assoc. J. 8, 9 (June 2002) [hereinafter “Mahler 2002”]. See 26 CFR 301.7701-3; Mahler 2002 at 10. See 1999 N.Y. Laws 420; Mahler 2002 at 10. N.Y. LTD. LIAB. CO. Law § 606(b). N.Y. LTD. LIAB. COCnty..Law § 509. Jacobs I, No. 2016-05041, 2017 BL 435890, at *1. Decision and Order (ECF No. 67) at 4-5, Jacobs v. Cartalemi, Index No. 62551/2015 (Sup. Ct. Westchester Cnty. Apr. 21, 2016); WIC Operating Agreement (ECF No. 4), Matter of Jacobs v. Cartalemi, Index No. 62551/2015 (N.Y. Sup. Ct. Westchester Cnty.). Jacobs I, No. 2016-05041, 2017 BL 435890, at *3-4. Id. (citing Bellwether Cmty. Credit Union v. CUSO Dev. Co., LLC, 566 Fed. App’x 398 (6th Cir. 2014)). See Jacobs II, No. 2016-07813, 2017 BL 436813, at *2-3 (2d Dep’t Dec. 6, 2017); Jacobs III, No. 2016-07817, 2017 BL 436677, at *2 (2d Dep’t Dec. 6, 2017). Jacobs II, 2017 BL 436813, at *2 (citing Billings v. Bridgepoint Partners, LLC, 21 Misc. 3d 535, 540, 863 N.Y.S.2d 591 (Sup. Ct. Erie Cty. 2008); Howe v. Bank of N.Y. Mellon, 783 F. Supp. 2d 466, 477 (S.D.N.Y. 2011)). Jacobs III, 2017 BL 436677, at *2.